In 1975, Jaws was a monstrous success. Quickly it became an iconic piece of filmmaking, made Spielberg into a star and it turned into the first blockbuster summer movie ever. Obviously, a lot has been written about it, but there are three main books that you should consider reading when evaluating what making Jaws involved. And Jaws Log is, no doubt, a Numero Uno: One of the first proper Making Of books ever, and one of the finest. Its author, Carl Gottlieb, was one of the writers of the film -he was the one on set with Steven Spielberg, doing rewrites as the shooting went along. Although he appears as an actor in it too, the Gottlieb screenwriter felt forced to shrink the Gottlieb actor part: “I was playing the character of Meadows, the publisher, a part which was later cut considerably”. “As the writer, it was my sad duty to write myself out of the picture as superfluous, and as an actor, my heart bled with every cut. Talk about ego splits – you haven’t experienced schizophrenia until you sit in a story conference discussing whether your presence in a scene is necessary or desirable”. 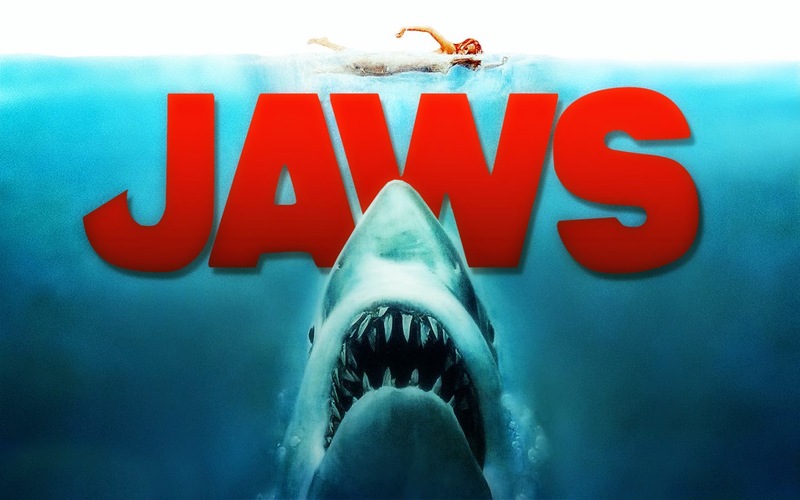 The story of Jaws starts when producers Richard Zanuck and David Brown acquired a book property before it was even published, just out of the hunch that Peter Benchley‘s first novel would become a success. And they got it right. The 150.000 $ they paid for it sounds like peanuts today. Back in 1974, Steven Spielberg had directed only one feature film for cinemas, The Sugarland Express, which was not a success, although it was an appreciated film. Spielberg may owe Duel, his 1971 TV movie about a truck chasing a car, for the offer of directing Jaws. Jaws Log is a fascinating account of a film that could’ve gone horribly wrong, as all kinds of things went badly, not the tiniest the fact that, as sure you’ve heard, the shark hardly ever worked. At the beginning, they believed they could train a real shark. Then they thought the could build one, which they did. In fact three. “What we were looking at was eventually to weigh twelve tons, require a crew of fifteen men to operate, and cause a lot of people a lot of grief.” Bless the irony in Gottlieb’s style all through the book. The machine, though, named Bruce, was never tried in the ocean before the shooting. From there everything went south. Filming in the ocean is bound to become a nightmare, and it did. The fact that the author of this book witnessed everything from row one makes the book especially compelling. One of my favorite characters in the book is Carl Rizzo. He appears briefly in the story of Jaws and disappears quickly too. You see him in the film, but you don’t know it’s him. Yet he is a key player in one of the main scenes of Jaws. Rizzo “got a free trip to Australia and almost didn’t come back. Carl Rizzo is an ex-jockey, a rugged little guy about 4’9”. The respected Ron and Valerie Taylor, experts on shooting sea documentaries, were in charge of filming white shark stuff to be used in the film -real whites-. If you’ve seen Jaws you sure remember the oceanographer Hooper trapped inside a cage under vicious attack by the shark and barely making it. Well, the Taylors shoot that scene with a real great white but, in order to make the beast look as big as the one imagined by Peter Benchley, they shrunk the cage and the guy inside too: A small person, our Cal Rizzo, was placed in a cage 5/8 the size of the one finally used in the film. “Ron and Valerie are in position, in another cage of their own design, with their underwater cameras turning, and here comes a great white, rushing the cage like it’s a free lunch. Carl chokes up a little, loses his regulator (the device that controls the flow of air from his tanks), forgets how to clear the water from a filled breathing mouthpiece, and is trapped in this cage surrounded by 1200 pounds of hungry shark snapping away.” To find out what happened next, read the book. To find out what happened next, please read the book. It has always fascinated me to discover the actors that almost made a film. I mean, c’mon, how can you even think of Jaws without picturing Roy Scheider‘s, Richard Dreyfuss‘ and Robert Shaw‘s faces: it’s inconceivable now. But a few names swam around Jaws before they did. Charlton Heston wanted to be Sheriff Brody, but he recently had saved already too many people in Airport 75 and Earthquake “and it just didn’t seem right for him to be wasting time with a little New England resort community”. They picked Scheider for Brody but still “there were two leads left to cast when the picture was just three weeks away from that May 2nd start date”. Timothy Bottoms and Jeff Bridges could’ve played the oceanographer. Sterling Hayden should have been Quint, the shark hunter, but Hayden had a tax problem and couldn’t be there, so they got Robert Shaw instead, who had a huge tax problem too but made the film anyway. Jaws was filmed in Martha’s Vineyard, known as The Vineyard by locals, a summer resort on the east coast of the US. In 1974, Universal “was looking for an April start, hoping to finish shooting in the Martha’s Vineyard’s location before the summer season swamped the island”. The plan was to shoot over a period of 55 days. The didn’t know that it was a chimera. When the film finally wrapped… it was 5 and a half solid months later. The latest is the 30th Anniversary Edition but any Edition will do. I keep the Spanish one from 1975, which for some mysterious reasons includes a fantastic design of the mechanical shark that is missing in other editions. I scanned it here for you to see. If you are really into Jaws, there are two more books that you shouldn’t miss: Memories from Martha’s Vineyard, a big mostly visual and lavish account of its making, and On location on Martha’s Vineyard (The Making of the Movie Jaws), the chronicle of the shooting of jaws from the the point of view of the Martha’s Vineyard people. Very different books, but both essential to get the whole picture. According to Google Books, Carl Gottlieb has worked for more than 35 years in film and television as an actor, director, producer, screenwriter, teacher, and author, whose books include the bestseller Long Time Gone: The Autobiography of David Crosby (with David Crosby). In addition to the Jaws screenplay, which was nominated for a Golden Globe and a British Academy Award, he co-wrote The Jerk, Jaws 2, Dr. Detroit, Jaws 3D, Which Way Is Up, and Caveman, which he also directed. He received an Emmy® for his work on The Smothers Brothers Comedy Hour. He has taught screenwriting at the University of Southern California, the University of Miami, and the American Film Institute. He lives in Hollywood, California. This entry was posted in BOOKS on filmmaking, FILMMAKING and tagged Carl Gottlieb, Jaws, Jaws Log, Steven Spielberg. Bookmark the permalink.